May we ask a favor of you? Have you enjoyed reading about alternative energy and found this site helpful? 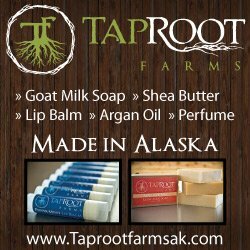 Please share this site with others. Our goal for this site is to give people the knowledge to successfully generate power from renewable resources. We would really appreciate it if you would spread the word about Power-Talk.net to your friends, family, or anyone who you believe would find this knowledge useful! If you have a blog or a website, please add a link to this site on one of your webpages. You can easily refer people to this site by using the simple HTML code supplied below. Adding a link takes only a minute, and your visitors will be very grateful for the unique resources you provide and will return to your site knowing they can always count on you to provide them with great content! By Adding Links You Can Share This Alternative Energy Site With Others! Don't worry it's easy. Simply select the link you would like to use, then copy the HTML code in the box below and paste it anywhere on your website or blog. Be sure you copy the entire code to ensure the link will display properly. The codes will allow the links to open into a "new" window. So, when your visitor closes the "new" window, your page will still be open underneath it. This is the perfect way to share this site and not lose any of your visitors. With the following HTML code, there is no need to download the small banner graphic. It's stored on my site and will display on your site exactly as shown below. Learn how to effectively use alternative energy and choose the components that will work best for you! <a href="http://www.power-talk.net" target=”new”>Alternative Energy</a><br>Learn how to effectively use alternative energy and choose the components that will work best for you! Helping you keep the lights on! 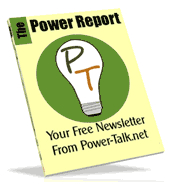 <a href="http://www.power-talk.net" target=”new”>Power-Talk.net</a><br> Helping you keep the lights on!